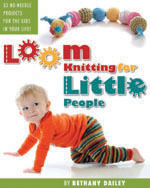 ← FREE LOOM KNITTING PATTERN! This weekend my family and I took a little trip to the Washington Coast. On the 2 hour drive I got a little looming done…I was teaching the Felted Bottle Hug at a recent class and got part way through with one, and so I determined to finish it on the drive there. We stopped in Aberdeen at a fabulous old lumber baron’s estate, that has since been turned into a musem. We all love knocking around in old houses and museums. It’s amazing the insights you get about the past and the people of those times, just by visiting the objects they used, and looking at places they lived. It gives you a connection to your roots. The weather at the beach was fair. It wasn’t very windy, which in Washington is a huge plus for a beach trip! But the sun kept going behind clouds and making us want to hunker down in our sweatshirts and munch our salt water taffy purchased in Westport. All in all, it was a great family day! This entry was posted in Kids, Life, New Projects. Bookmark the permalink. What a great idea to jazz up your project! Keep up the great blog! I am new to loom knitting and loved the idea of the bottle cover. I have recently had a baby and would love to make some bottle covers. I am having a hard time getting my Adobe reader to work and was wondering if you could email the pattern to me?